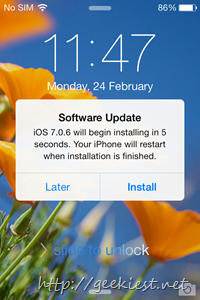 Apple released a new iOS update which will upgrade your devices to iOS 7.06. 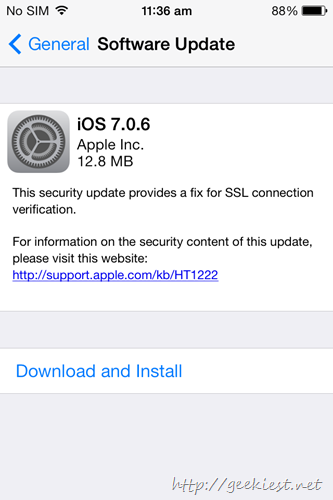 This update fixes a major security threat to iPhone and iPad users. 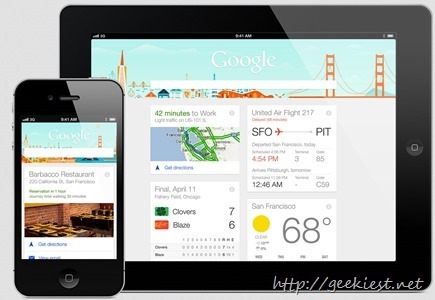 The Security flaw allows a hacker to access and modify data protected by SSL/TLS. A user who have acces to the Wifi network which the iOS user is using, they can see and update the secure data like passwords, credit card numbers etc. It is a MUST to apply the fix, it is just 12.8 MB. So update and secure your important data from hackers.